The Gomm Valley lies between High Wycombe and Beaconsfield. The BOA is connected with the Central Chilterns Chalk Rivers BOA. Geology: Mainly chalk with areas of mudstone around Beacon Hill. Overlain in some areas by clay with flints with sands and gravels in the Wye Valley. Topography: In the south of the area is the Wye Valley which is a narrow valley with steeply sloping sides. North of this are the three hills of Beacon Hill, Common Wood and Pond Wood (which rise to about 180m). There are 2 dry valleys (very steep sided on the Common wood slopes). Calcareous Grassland – There are small unconnected calcareous grassland sites on the slopes of the Wye Valley including Gomm Valley SSSI. Woodland – There are three large areas of wood on the higher ground and small designated woodland sites on the Wye Valley slopes. There is a good network of footpaths through the area. 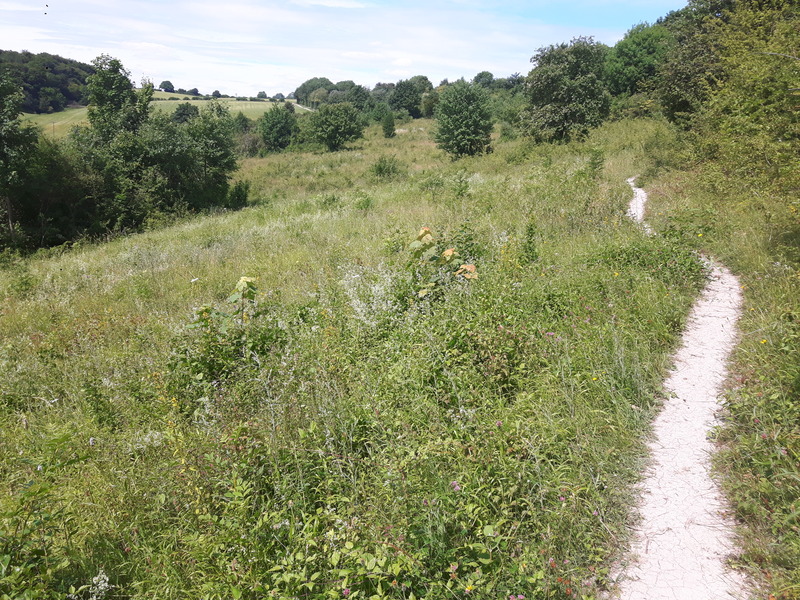 Holtspur Bank Local Nature Reserve (managed by Friends of Holtspur Bank LNR) and Holtspur Bottom Butterfly Conservation Area (managed by the Butterfly Conservation Trust). Penn Wood is owned by Woodland Trust, Common Wood by Penn & Tylers Green Residents Association and Kings Wood by Chepping Wycombe PC.